Entry level for Mavic is equivalent to mid-range for a lot of other brands and we have come to expect great products from the French company. 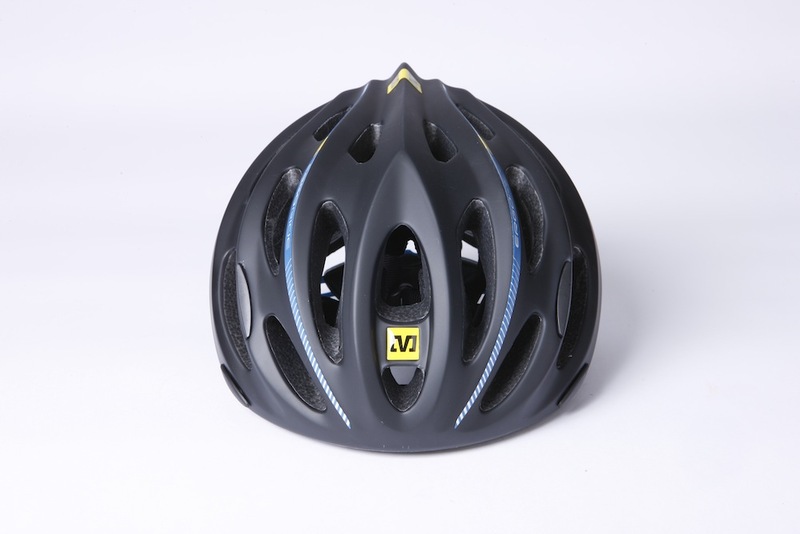 The Mavic Espoir helmet is great quality product and ideal for those new to cycling. 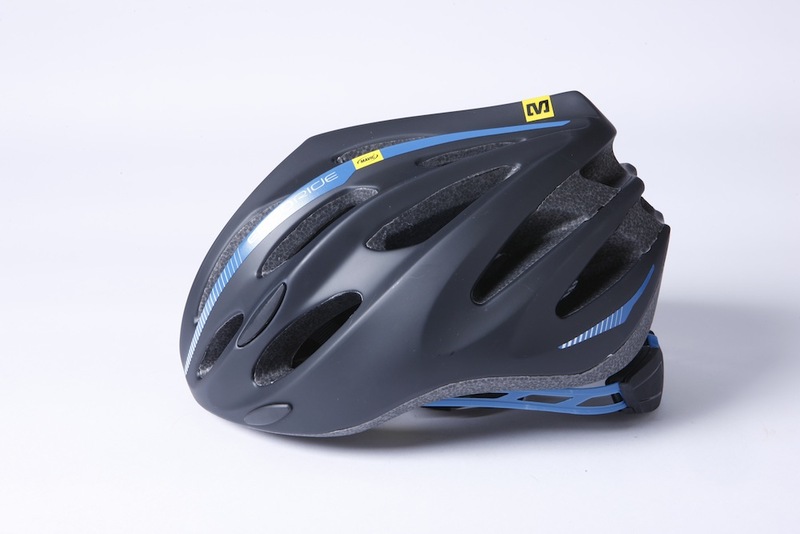 The lid features an optional, removable visor, which potentially makes it suitable for road and off road use. This is an attractive option for those who want a do it all helmet that won’t break the bank. Viewed from the front, this helmet looks great and much more expensive than it is. For those new to cycling, a visor on a road helmet is often not considered de rigueur. Fortunately, Mavic supply the helmet with plugs that neatly slot into the holes left by the optional visor when not in use. The padding is also removable too, by way of velcro tabs – useful for washing. We really like the styling on this helmet. From the front and side it looks more expensive than it is and the overall build quality is very high. Nice little features, like the Mavic logos on the straps add a touch of class too. When weighed on the Cycling Weekly scales of truth, the Espoir was 275g, 5g heavier than the reported weight of 270g, by comparison the £49.99 Giro Foray is 270g (M). Note the plugs, for the removable visor. The retention system works very well and can be operated with a single hand, making on the fly adjustments easy and precise, especially useful for when you want to loosen your helmet slightly if you get hotter mid ride. It is however slightly bulky, especially when compared to minimalist, but functional ROC LOC® 5 system found on the Giro Foray. 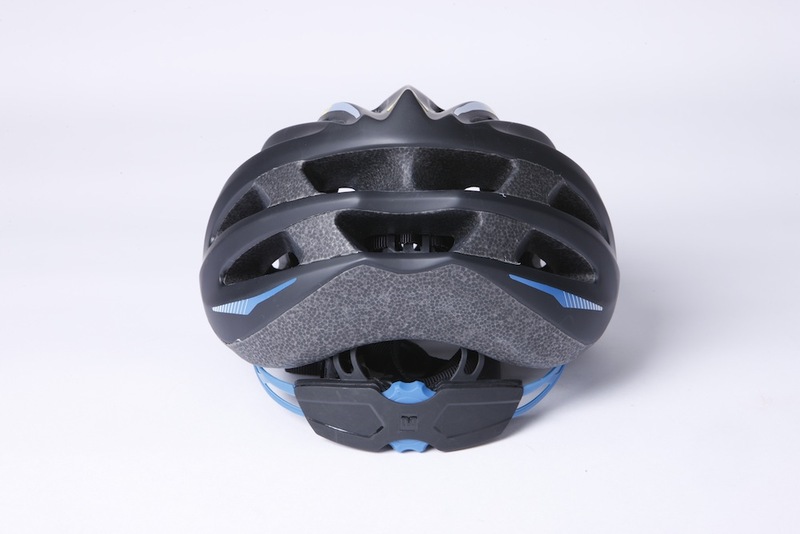 We found the internal shape of this helmet to be rounder than others we have tested and by comparison, equivalent model Giro and Specialized lids feel more oval. We do not consider this to be a negative and would suggest you try on different helmets before you buy, because different shape helmets suit different people’s head shapes. On a long ride you could be wearing a helmet for 6 or more hours, so it is important to have one which is comfortable. Sizes: S, M, L, L maxi fit.